The NYPD wants to speak to a man seen on surveillance video near where a 66-year-old man was stabbed multiple times before he walked into a police station and died Monday night. The man was at an intersection in Manhattan when he was stabbed in the chest and back around 11:30 p.m. Monday. Police say the man walked into the nearby Midtown South police station on West 35th Street for help, according to the NYPD. Authorities say the victim was taken to Bellevue Hospital where he later died. Investigators say they believe the man knew his attacker. 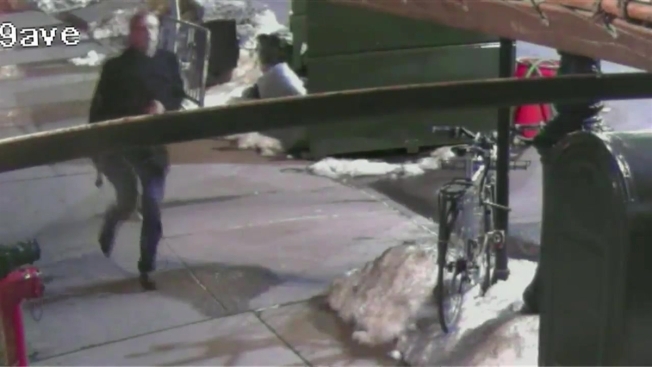 Police Tuesday released surveillance video of a person of interest in the case, described as having blonde hair, last seen wearing a black coat, brown shoes and dark-colored pants. Anyone with information is asked to contact Crime Stoppers at nydcrimestoppers.com.